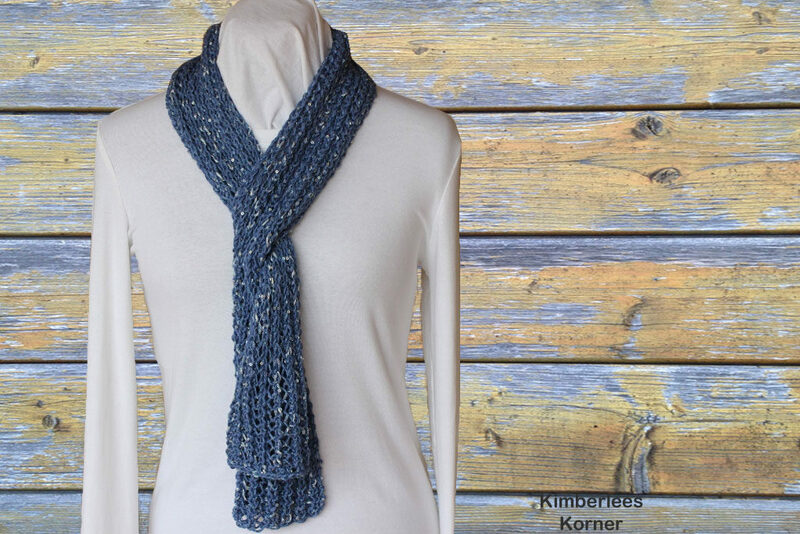 This one row lace knit scarf pattern is easy to knit and available free here on my blog. 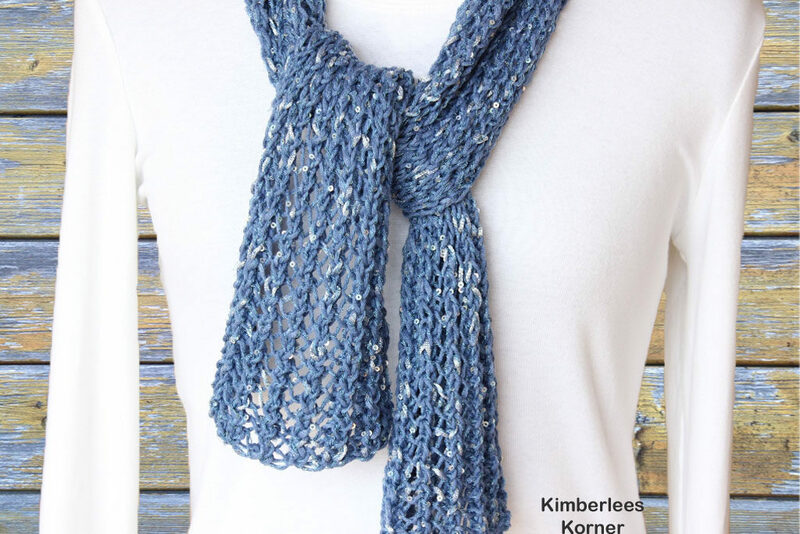 This knit scarf pattern is great for an advanced beginner wanting to learn to knit an easy lace project. The yarn I used in the photo for this lace knit scarf pattern was Lana Grossa Opera – it is cotton polyamide viscose mix and it has pretty sequins throughout the yarn. Any type of yarn that has a glitter or sequin to it that recommends a size US 8 or 9 needle will work for this pattern. You will need about 200 yards for a scarf that will be approximately 40 inches long by 7 inches wide, unblocked. If you want your scarf to be longer you can just continue to follow the pattern but you will need extra yarn. I only had 2 skeins of the Opera. I kind of like a shorter scarf especially a lace knit scarf since I usually wear it more as a decorative accessory and not for warmth. 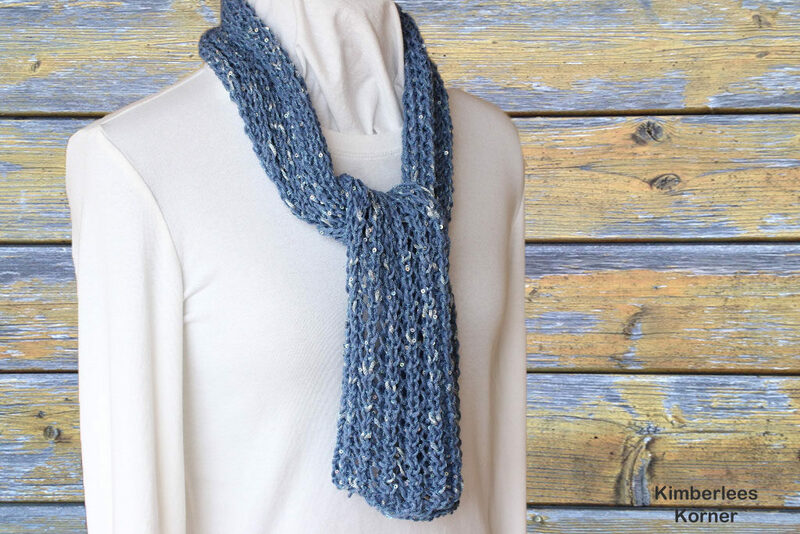 This scarf is a quick and easy lace knit scarf to complete – great if you need a last minute gift. This is also a nice project for someone who wants to try out some lace stitches. I hope you enjoy the pattern. For more of my patterns you can visit my etsy, craftsy or ravelry shops. I am always creating new things and adding new patterns to my shops. 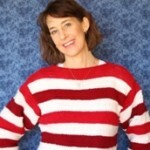 Have a great day and Happy Knitting. This entry was posted in Knitting and tagged in easy to knit scarf, free knit scarf pattern, knitting, knitting patterns, lace knit scarf pattern, lace knitting, one row lace knit scarf pattern.